Welcome to Zimmerman Chiropractic Clinic PC! 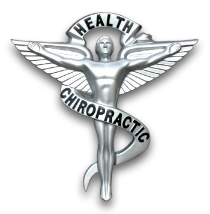 Located in the heart of DuQuoin, Illinois, the leading health professionals at Zimmerman Chiropractic Clinic PC are dedicated to helping you achieve optimum health. Combining skill and expertise that spans the entire chiropractic spectrum. Dr. Richard Zimmerman is committed to bringing you better health and a better way of life by teaching and practicing the true principles of chiropractic care. Patients seeking treatment at Zimmerman Chiropractic Clinic PC with Dr. Richard Zimmerman are assured of receiving only the finest quality care through the use of modern chiropractic equipment and technology. Dr. Richard Zimmerman and the staff have a genuine concern for your well-being! Life is Motion - Keep Moving! Our definition of an athlete is anyone that enjoys being active. If you enjoy walking, biking, running, golf, tennis, yoga, lifting weights, playing with your children or grandkids... YOU ARE AN ATHLETE! At some point, your body will need help keeping up with the "speed of life" and Zimmerman Chiropractic wants to keep you moving. Zimmerman Chiropractic emphasizes improving your health in an effort to reduce the risk of pain and illness in the first place. Most people would rather be healthy and avoid illness if they could. This is one of the main reasons for the recent surge in the popularity of chiropractic care. Recovering and maintaining our patients' health is the driving force of our practice. To put it simply- we want to see you get better! We don't believe that cost should be be the deciding factor in receiving the care you need. Please let us find the best payment plan for you. We accept most insurance coverage, and can find a way to work with most other health insurance companies. If you are new to our website, please feel free to discover and learn about chiropractic care. If you are interested in starting your journey towards wellness please subscribe to our award winning newsletter. If you are already a newsletter subscriber, please explore the member wellness section of our website for wellness articles, resources, and health facts---specifically targeted by Dr. Richard Zimmerman to your wellness needs and interests. We offer you same day appointments, or if you prefer to schedule an appointment, you can call our office anytime to schedule a visit.